!! OMG, it has 16 toes: Baby in China !! Could this be our future? Is this where evolution is going? Extra digits for all our gadgets? This little one was born in China with 6 extra toes due to genetic deformity OR environmental pollution. I have a special guess as to which one it was but I’ll keep it to myself. Thanks to anmnmjr for the tip. 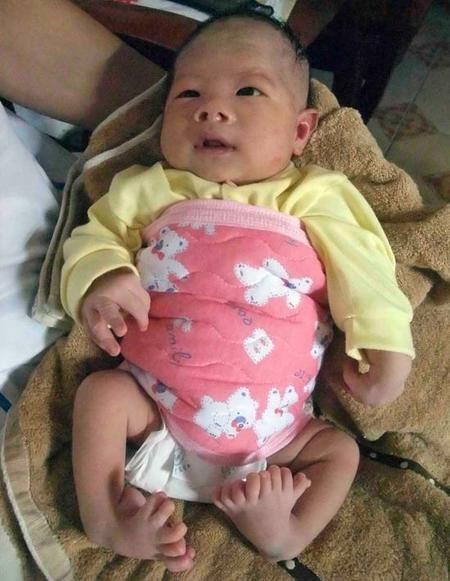 5 Comments on "OMG, it has 16 toes: Baby in China"
Looks like he has 5 (non-thumb) fingers on his hand, too… Poor kid! C’mon. “It”, “Sawed off”? Mama would’nt be proud. I think all of those extra little toes are cute! BLAH! sometimes this site is WAY to liberal for me.